It's time to catch, eat and be merry in Maine. Here, you can dive deep into the lives of captains, cooks and lobster enthusiasts, and submerge yourself in the labor of love that is lobstering. How? By getting firsthand lobstering experience on a lobster boat tour. Come on in. The water's just fine. Lobster boat tours allow tourists and curious adventurers alike to join in on the aquatic adventure of capturing live lobsters. Many experienced lobster boat captains, like Captain Jay, owner and operator of the West Wind, have opened up their vessels to the public. From learning about the history of lobster hunting to getting their hands wet handling the lobsters that have been pulled up from the depths of the Atlantic, people learn what lobstering truly entails. (Pun intended.) Participants reserve their seat on a boat that generally offers just enough excess room for a handful of passengers, making the adventure even more intimate. Just don't get too close to a big lobster claw before the captain shows you how to secure it with a rubber band. These tours aren't just all about catching lobster, either. The boat captain puts his historian cap on top of his trusty captain's hat and shares his take on the history of lobstering and the mysteries of ocean life whilst surrounded by the most breathtaking scenery around. From the watercolor skies to the picturesque shores, passengers stare in wonderment at seabirds, seals and whales while gliding on the water's surface. Soon it's time to satisfy even more curiosities and tend the traps for lobsters. Traps may include more than just the infamous lobster because they've got a lot of underwater pals. From prickly sea urchins to starfish to crabs, expect the unexpected while adventuring in Maine. By the end of the excursion, passengers have not only earned their sea legs, but they've experienced a whole new level of lobster. But maybe ocean excursions covering the sights, sounds and even smells of lobstering aren't for you. We suggest connecting with one of our many schooner boat captains and taking an extended cruise around the bay. A tremendous, one-of-a-kind experience, all 3-5 day cruises include a delicious lobster bake sure to make passengers' taste buds sing. The traditional Maine lobster bake includes mussels, corn, potatoes, onions, and of course, the guest of honor- lobster. Transformed after a good steam, the colors of the food bloom with vibrancy, a signal they're ready for the noshing. It's a hands-on event and since the bake is traditionally served with lemon and butter, slippery surfaces are abundant. Anyone joining in on the lobster bake should arrive prepared with exactly two things- a hearty appetite and a bib. From literal shacks to bona fide gourmet restaurants, there's no shortage of lobster eateries in Maine. Some establishments are run by families who have been honing their culinary skills and garnering lobster loyalty for generations, while other restaurants boast a slew of award-winning chefs. Restaurant experiences couldn't be any more varied and eclectic. Don't let the notoriously long lines scare you away from veritable Maine institution Red's Eats in Wiscasset, and make sure to stop in and soak up the local flavor at Haraseeket Lunch and Lobster in Freeport. The Clam Shack in Kennebunkport, has no tables or chairs- just a hut, seating via wooden crates and a whole bunch of lobster. You're guaranteed to go home full – and with a couple good stories. Prefer white tablecloths to paper plates? 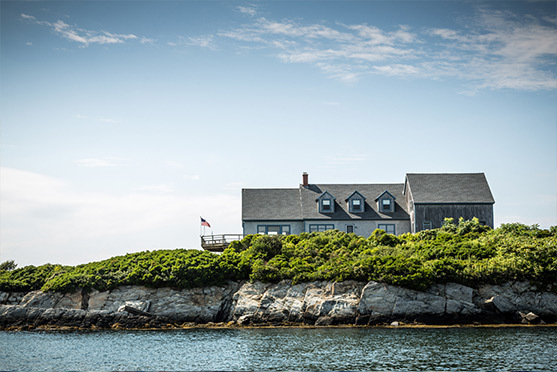 Maine has a plethora of casual and fine dining options that all celebrate the sea. Bask in the raw and rustic elegance of Fore Street in Portland, book a stay at the Camden fine dining B&B, Hartstone Inn, where you'll enjoy sumptuous gourmet dinners served on crystal and china and make sure to save room for DiMillos restaurant and lounge where fresh Maine seafood has been served up in style since 1954. As Tony DiMillo once said, "The clams you eat here today, slept last night in Casco Bay." In Maine, that's all the advertisement you need. Out of the kitchen and into the streets, lobsters also inspire events throughout Maine. The Maine Lobster Festival is a five-day celebration of all things lobster. The summertime event boasts 20,000 pounds of the crustacean, a parade, fine arts and crafts and more. Attendees discover contests, entertainment and lots of delicious cuisine. It's safe to say that the incredible underwater creature attracts fans from all over the world, and that no one knows lobsters like a Mainer. 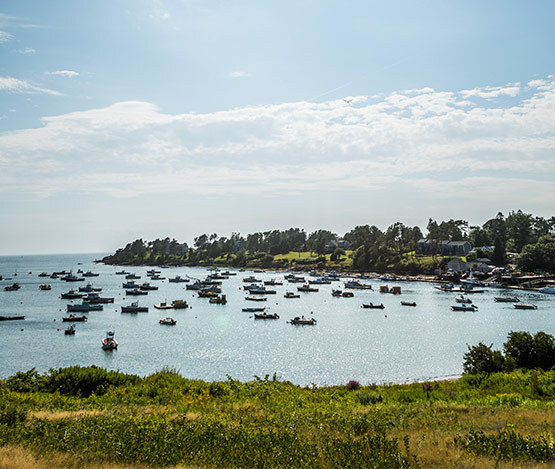 For those looking to get a little exercise, the Maine Lobster Ride & Roll combines the beauty of Maine's summer landscape with the state's love of lobster. Participants bike across Rockland's country lanes along the coast passing lighthouses, lobster boats and the glittering ocean. After completing the ride, bikers are generously rewarded with a lobster roll lunch. 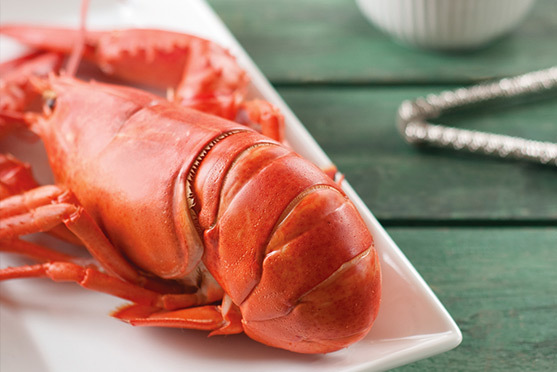 The Maine Lobster Ride & Roll seamlessly combines the state's natural beauty with the ever-iconic lobster. Some say that the best part of Maine lobstering is the last step, when it's time to grab a bib, sit back and chow down. But the people of Maine would disagree. It's the adventure, the journey and the intersecting moments of pure thrill and bliss that make every element of lobstering so wholly incredible.